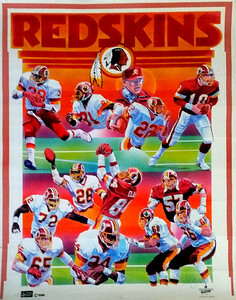 11x14 Part of a 4 poster set. 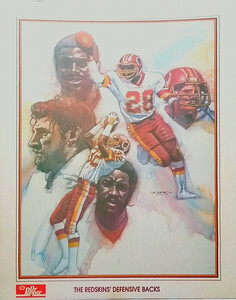 11x14. 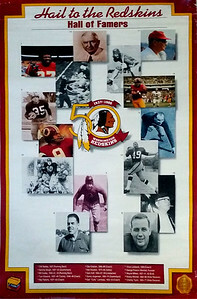 Part of 4 poster set. 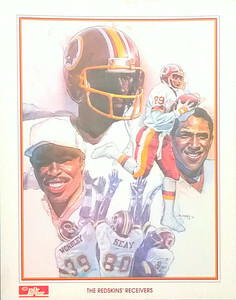 11x17. 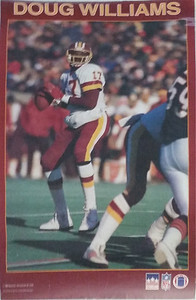 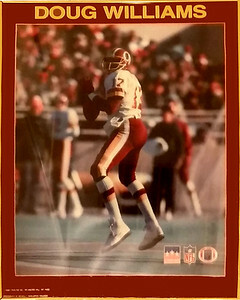 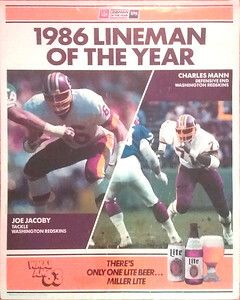 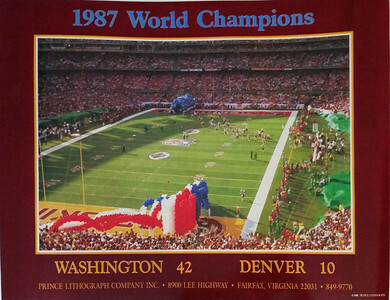 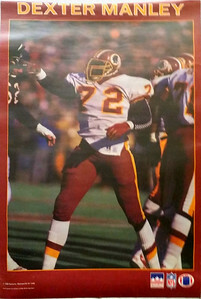 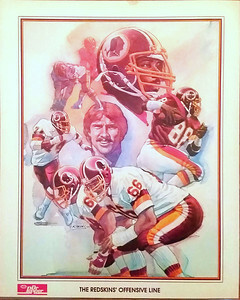 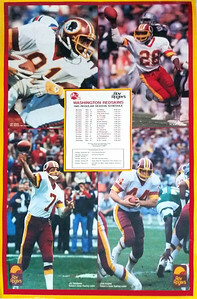 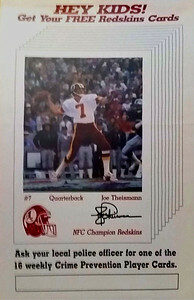 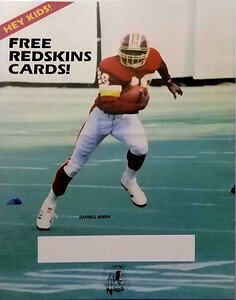 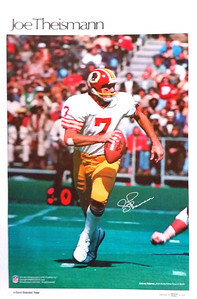 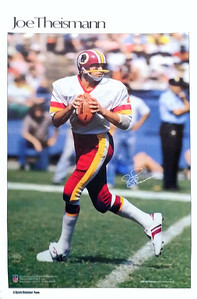 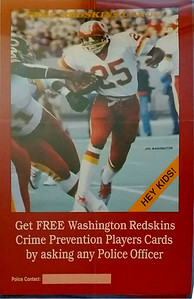 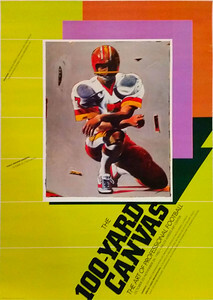 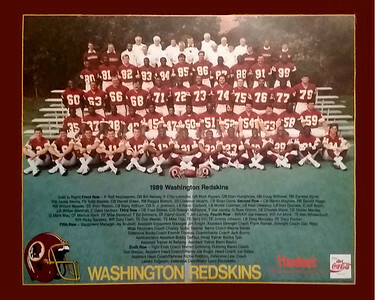 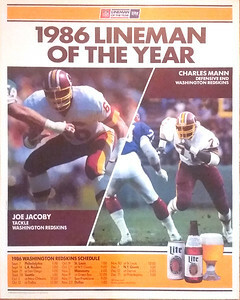 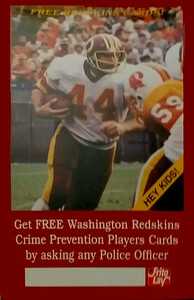 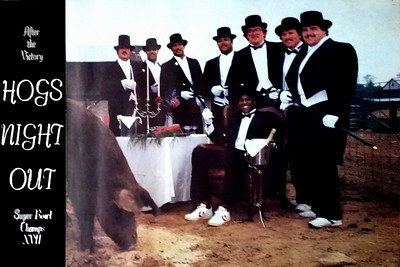 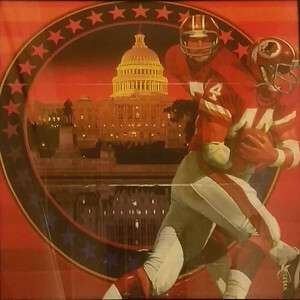 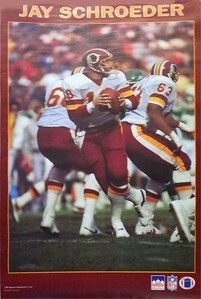 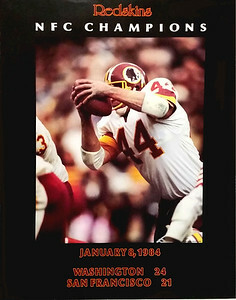 Poster promoting the inaugural set of Redskins Police Cards. 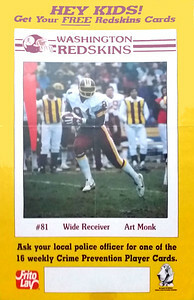 I know this is a terrible photograph. 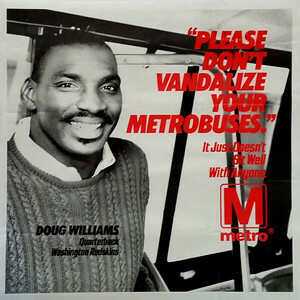 This will be one of the first I clean up once I get around to doing clean up. 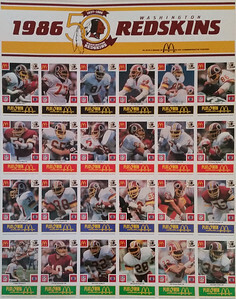 These originally came with Hardee's coupons on the right hand side of the poster. 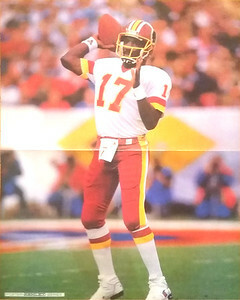 16x16. 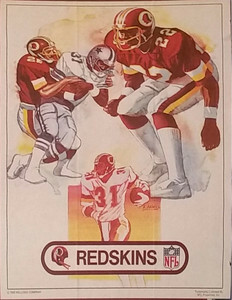 Original artwork by Chuck Ren. 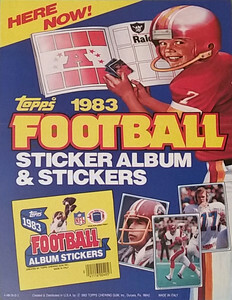 This image was used in several other instances. 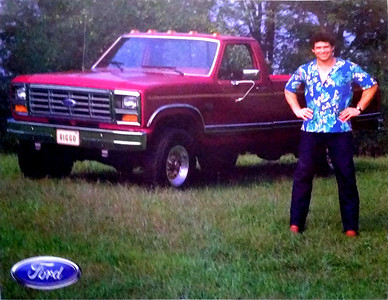 I'm missing the jigsaw puzzle. 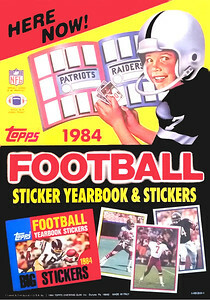 If you have one available, please let me know.